Then he had to meet the right winemaker: Ray Walker, a self-taught American winemaker who gave up his cozy life as a Merrill Lynch finance man to move to Burgundy and make wine. At first he had a hard time getting his hands on some good grapes. “But he’s very stubborn and he made it. Look what he’s doing now. This wine is amazing,” said Lefebvre. Walker’s story parallels his own somewhat: a young upstart making waves and a name for himself in a distant land. The two first bonded on an episode of Anthony Bourdain’s No Reservations when Walker impressed Lefebvre with his old-school winemaking. 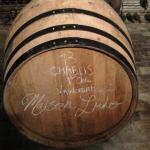 Maison Ludo barrels reside in the cellar of Ludo’s grandmother’s house. Aw. “What I like about Ray, he went back to the classic way to do wine. 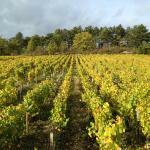 He picks the grapes by hand and presses the grapes by feet,” said Lefebvre. 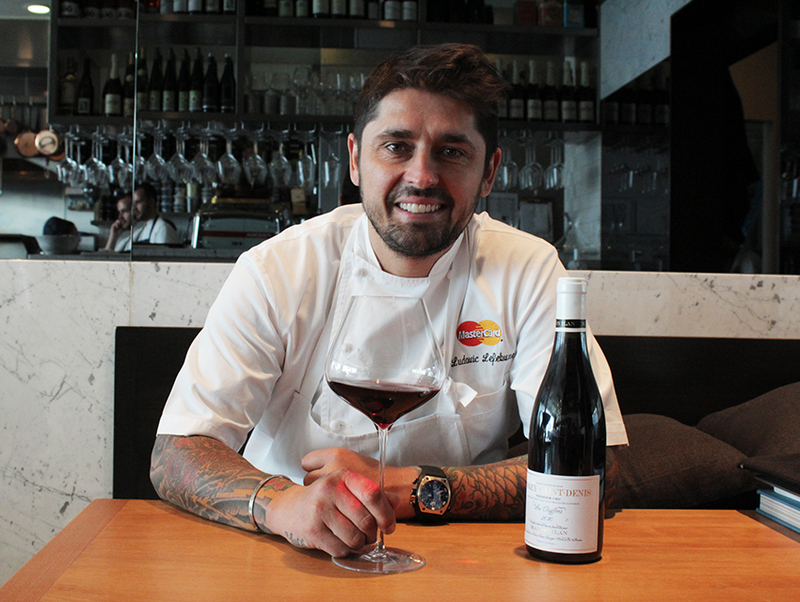 It’s Walker’s hands-on technique that resonated with the chef who has been approached by Napa before to simply put his name on a label. Walker and Lefebvre got to work on a Premier Cru—hand-picking the grapes and pressing them. 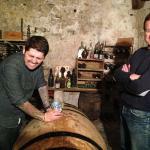 The result of their hard work now lives in barrels in Grand-Mère Lefebvre’s cellar. Every week for the past year the 86-year-old grandmother goes down the stairs and puts marbles in the barrels to check the level of the wine. “If something’s wrong she knows to call Ray. Ray lives like two hours away. 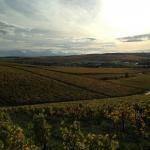 He comes over every month to check things and taste the wine,” explained Lefebvre. In six months, the wine will then be bottled. However, there will only be 500 to 600 bottles available since last year’s crop suffered due to bad weather. But Ludo hopes the next batch will double in size since there were more grapes this year. At the end of 2015 you’ll be able to enjoy the wine at Ludo’s restaurants and in some choice stores, like Domaine LA, but it’ll only be available in the chef’s second home: L.A.